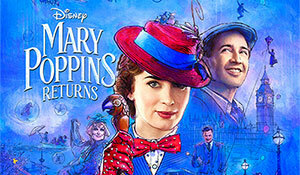 Just when things seem completely hopeless, Mary Poppins returns to save the day. In this magical Disney musical, Mary helps the next generation of the Banks family rediscover the joy of being a child. Together with her friend Jack the lamplighter, she brings back fun to the streets of London, showing that everything is possible…even the impossible. This performance is general admission and seats are first come, first served. Accessible seating on the orchestra level is available, but is limited. There is no elevator access to the balcony, it is accessible by stairs only. Please call 732-246-7469 or click here. Accessible seating is limited and subject to availability. If this information isn't provided, we cannot guarantee available accessible seating or that we will be able to seat large groups together.